On Wednesday, Norway will become the first country in the world to start shutting down its national FM radio network in favor of digital radio. Norwegians have had years to prepare, but the move is still catching many off guard. FM radio and Digital Audio Broadcasting (DAB) has existed side-by-side since 1995, but officials with Norway’s Ministry of Culture have decided that the time has finally come to retire the older transmission medium. The FM apocalypse starts tomorrow morning in Nordland, the country’s north. Beginning at 11:11 am local time, the FM network will be taken down in a gradual process that’ll take the entire calendar year. The transition from FM to DAB won’t happen overnight, allowing Norwegians to adapt to the change. Advocates of DAB say the format sounds better, and that it offers more channels at a fraction of the cost. DAB currently hosts 22 national stations in Norway, along with about 20 smaller stations. The FM spectrum can only fit five national stations. Also, DAB’s digital nature allows listeners to catch up on missed programs, and it’s easier for authorities to broadcast emergency messages in times of crisis. DAB also makes sense in a country like Norway, with its fjords and high mountains. It’s expensive to get FM signals to such a small and scattered population. Despite the fact that Norwegians have had years to prepare, most say the shift is premature. As reported in AFP, 66 percent of Norwegians are opposed to the shutdown, with only 17 percent in favor. 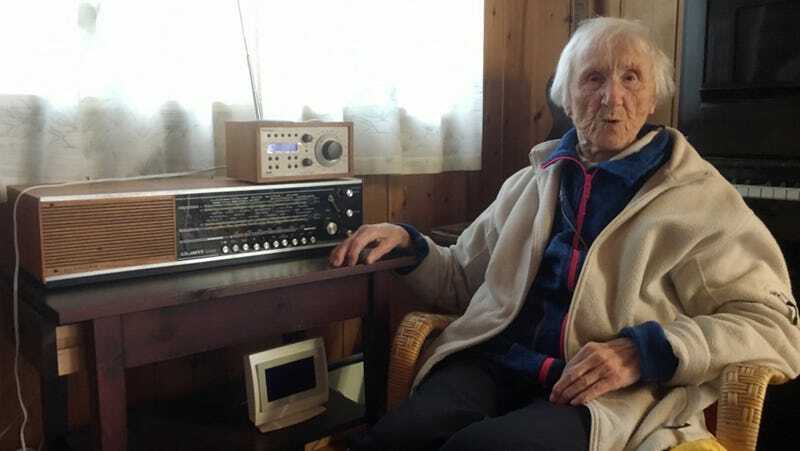 “It’s completely stupid, I don’t need any more channels than I’ve already got,” said 76-year-old Oslo resident Eivind Sethov in an interview with AFP. Other countries could soon follow suit. The UK says it will drop the FM band once half of all radio listening is digital (the figure is currently at 35 percent), and when the DAB signal reaches 90 percent of the population. FM radio, which has been active in North America since the 1940s, shows no sign of being replaced any time soon, either in the United States or Canada. That said, a DAB-friendly infrastructure is starting to emerge. There are around 4,000 stations using HD radio technology in the United States, and HD radio receivers are now common fixtures in new cars. Given the historic precedent in Norway, FM’s days may be numbered.